Roman Ondák’s work flits between the fantastical and the banal, going all but unnoticed or else prompting a double take. His installations, performances, and interventions quietly disrupt social codes, scarcely distinguishable from the context in which they are inserted. In ‘Good Feelings in Good Times’ (2003-04), Ondák created a queue of people that formed outside the main entrance of the Kunstverein in Cologne. The work was shown at Frieze Art Fair in 2004, forming and regrouping in a series of apparently random locations for the fair’s duration. Ondák’s work evokes displacement and transition, both physical and temporal, and draws upon memory, imagination and empathy for its impact. For ‘It Will All Turn Out Right in the End’ (2005–06), Ondák presented a ‘shrunken’ Turbine Hall resized so as to fit a second floor gallery at Tate Modern, visitors able to walk inside the detailed scale model. A kind of stage-set for viewers provides a platform for fictions to unfold, playfully questioning the degree to which hierarchies are governed and enforced by scale. 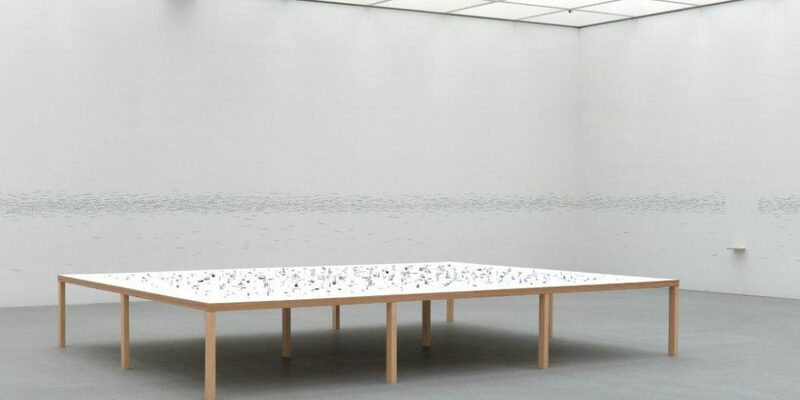 In 2006, Ondák’s ‘Passage’ was an important acquisition made by Outset for Pinakothek der Moderne in Munich. For the piece, the artist gave 500 Japanese steelworkers a chocolate bar each, along with the request that the recipient make a sculpture from the foil wrapper. The results – small figures, absurd animals, and abstract shapes – were eventually exhibited by the artist on an oversized table.